Reliability and ruggedness are two must-have characteristics when deploying remote monitoring systems in hazardous environments, where you can pretty much expect the unexpected. VitalVu, a remote monitoring solution company based out of Salt Lake City, Utah, takes no chances when it comes to the integrity and uptime of critical data for their customers in the oil & gas industry. First, to ensure communications reliability in remote areas where there is no cellular coverage, the company uses satellite-based M2M technology to frequently transmit data points from a variety of sensors monitoring on-site hardware. Second, to ensure the solution is rugged enough to withstand the harshest conditions of oil & gas operations, VitalVu’s remote monitoring solutions use a small, power-efficient satellite messaging terminal that is certified for Class 1 Division 2 areas. While the communications reliability is tested and proven on a daily basis, the solution’s ruggedness faced the ultimate challenge recently at a remote installation in Texas, when lightning struck a nearby tank, causing a major explosion. 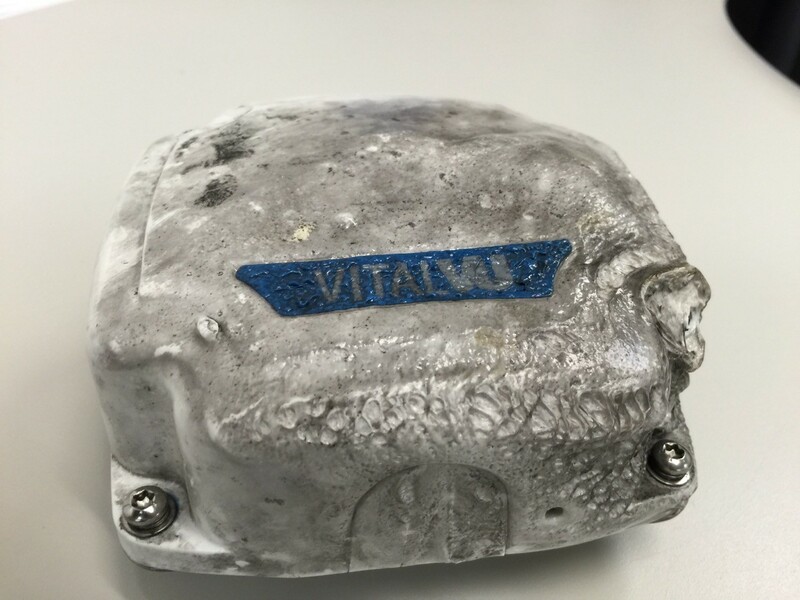 Much to the surprise of the solutions developers at VitalVu, even in the wake of the devastating fire that ensued, the satellite device used to monitor nearby equipment was still in working condition when it was recovered. The device in question (an IDP-680 satellite terminal supplied by ORBCOMM) was being used to monitor 30 unique data points on a large hardware skid, which includes a number of pumps, valves, flow meters and tank levels among other things. VitalVu also uses the IDP-680 satellite device to monitor wastewater tank levels in oil & gas operations. When waste water tank levels are monitored and the tanks are emptied when necessary instead of emptying them when someone is in the area, routes can be planned depending on the tank levels. Not only does this reduce costs by sending vehicles strictly to sites with full loads, but it also allows those vehicles to be re-purposed where needed providing much more efficiency from an operations standpoint. VitalVu relies on similar satellite M2M technology for chemical tank monitoring at wellheads, where an external sensor enables customers to eliminate manual checks and set the level at which they want to receive a refill notification. VitalVu’s Liquistics system also has an online dashboard that provides an overview of all the tanks and their levels. This allows the company to plan which chemicals need to be filled and where the tanks are located, making efficient use of personnel time and vehicle use. Besides reducing site visits and improving operational efficiency, remote tank monitoring can also reduce the chance of spill or overflow. For waste water and chemical tanks, remote monitoring enables the quick identification of tanks that are at risk of overflowing or where the level has unexpectedly gone down. This identification reduces the risk of a spill and costly clean-ups. Satellite-based M2M technology has been working so well for VitalVu that they are now looking to expand its use into other areas such as trailer tracking and oil theft prevention. Wow – That is a rugged and reliable terminal!